Salman Khan and nephew Ahil always make for the most adorable pictures and we were treated to one such photo by Arpita Khan Sharma on Friday. Arpita, who welcomed Ahil in 2016, added a heart-touching caption to the photo and described the mamu-bhanja jodi as her "life": "My life in one frame. My brother and my son. Thank you God for the choicest blessing." 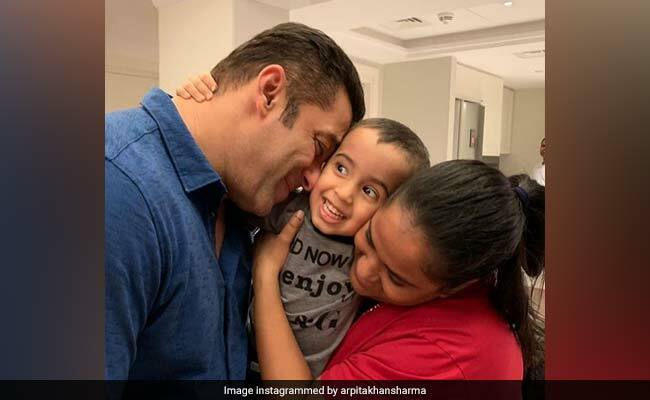 In the photo, Ahil is adorably sandwiched between Salman and Arpita but the little one's expression is proof that he's enjoying every bit of the attention. Aww... so cute! Arpita is married to Aayush Sharma, who made his Bollywood debut with Loveyatri, which was produced by Salman Khan. Ahil and Salman Khan are Arpita Khan Sharma's favourite subjects when it comes to cute Instagram posts. "Ahil and mamu banter as always! Candid moments," she had captioned a photo of Ahil and Salman earlier. Ahil is also perhaps the only one who is allowed to play with Salman's signature bracelet: "This is how he spent his Sunday," wrote Arpita. 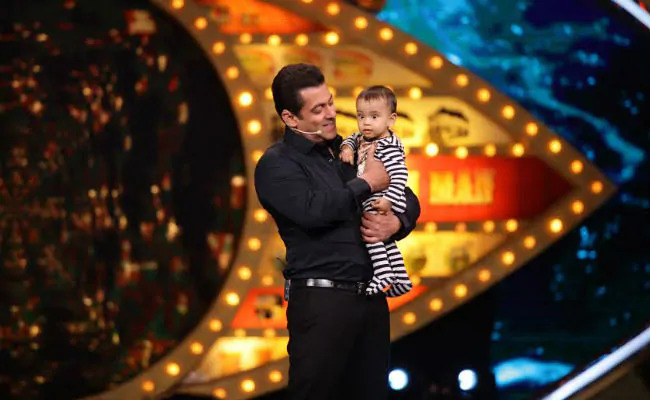 Salman Khan also took Ahil to the sets of Bigg Boss 10 once and then this happened. Last year, a video of Ahil gate-crashing Salman Khan's painting session went crazy viral on the Internet. "Ahil's first painting on canvas escapade with mamu," Arpita had said. On the work front, Salman Khan has films such as Ali Abbas Zafar's Bharat and Dabangg 3 in the line-up. Salman will reunite with Katrina Kaif on the big screen in Bharat.